England take on Nigeria at Wembley Stadium on Saturday in the first of two World Cup warm-up encounters for the Three Lions, as Gareth Southgate looks to make his final tactical tweaks and selection choices ahead of the tournament in Russia. Meanwhile, the Super Eagles will be keen to prove they are no pushovers, boasting a side packed with exciting talent that’s ready to provide stiff opposition. Victor Moses will be looking to get one over on his friends and club teammate Gary Cahill. England football pride will revolve around the 23-man squad already chosen by Southgate. All that remains is for him to tinker with specific instructions and decide who will start within the favoured 3-5-2 formation used throughout qualification. At odds of 4/9 to win, many expect the strongest eleven to start, with the younger players introduced in the second half. What’s already clear is that Liverpool duo Trent Alexander-Arnold and Jordan Henderson will probably be rested for this international friendly, following their Champions League final action last weekend. 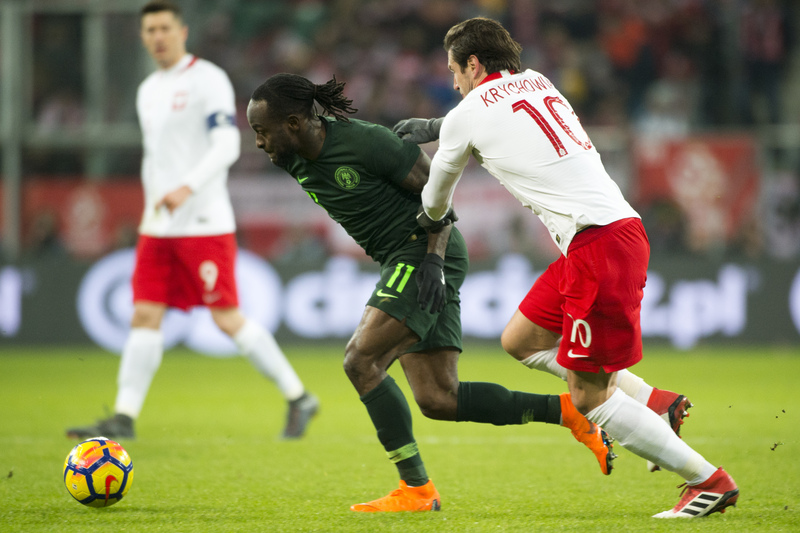 Yet to name his final 23-man squad ahead of the deadline for the World Cup, coach Gerno Rohr still has plenty of decisions still to make towards Nigeria football hopes for the tournament. For that reason, the England v Nigeria encounter will be pivotal towards which players will make the final cut for the trip to Russia. Amongst those currently plying their trade in English football are Leicester City pair Wilfred Ndidi and Kelechi Iheanacho, along with Arsenal forward Alex Iwobi, plus Chelsea winger Victor Moses and Hull City defender Ola Aina. 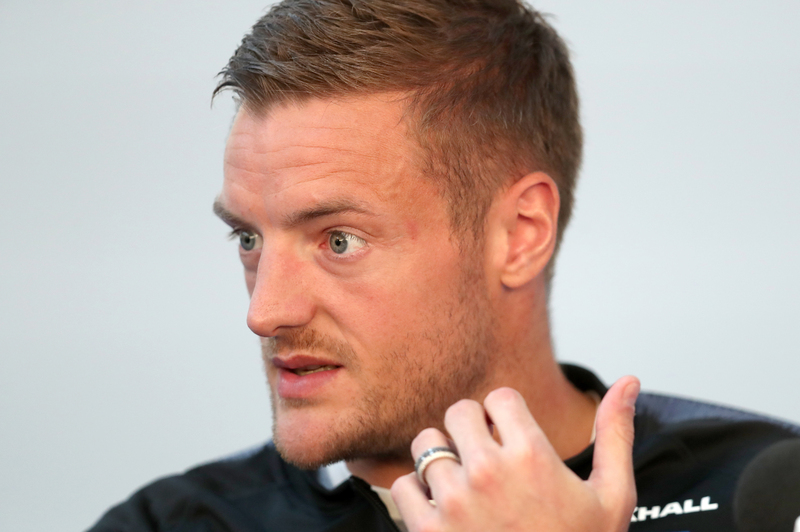 Jamie Vardy is likely to play a part alongside Harry Kane. One thing that neither of the two sides in the England v Nigeria game are lacking is exciting attacking options, with forwards who are capable of banging in the goals. Tottenham Hotspur striker Harry Kane will captain England at the World Cup this summer, following an impressive return of 30 Premier League goals during the 2017-18 season, plus 7 in 7 Champions League appearances. Having already registered 12 goals in 23 appearances for the Three Lions, Kane is expected to start the game against Nigeria. The Spurs man is a firm football betting favourite, at 12/5 odds to score first at Wembley on Saturday. At the tip of the attacking lance for the Super Eagles is likely to be Odion Ighalo, who is certainly no stranger to Watford fans, with 33 goals in 82 appearances during his spell with the Hornets. Since moving to Chinese outfit Changchun Yatai, the 28-year-old has struck 16 goals in 30 outings. Leicester City forward Kelechi Iheanacho is expected to play just behind Ighalo in attack, with both priced at odds of 9/1 to score first in Saturday’s friendly. There’s no doubting that England will be keen to win their final game at Wembley before the World Cup, but Nigeria will by no means be easy opponents. Given there are still places at the World Cup up for grabs, every player will be fired up to give their best performances. All the better for fans hoping to watch a thrilling game between the two sides. One thing this encounter shouldn’t lack is goals, which makes 3/1 odds for England to win and Both Teams to Score all the more appealing from a betting perspective.